Every year I look forward to Snoozer Loser's new collections and getting my hands on one of their handmade pieces! And when I say every year, I really mean it--I've been working with this brand since the very first days of being a fashion blogger! Which way is your favorite? I like all of the ways in which I wore the brightly patterned maroon skirt (Puppy Love, Into the Woods, Seafan Heart, Hooked on ULINX). But I am SO excited to add this new summery piece, a crop top, into the mix. Here's to many more posts this summer and lots of lovely ways to wear my favorite brand, Snoozer Loser. I'm not always that great at commenting, but you are still one of my favorite bloggers to regularly stalk:) You are just the cutest and have the best style lady! Seriously, I would totally rock everything you wear! This outfit is one of my favorites! 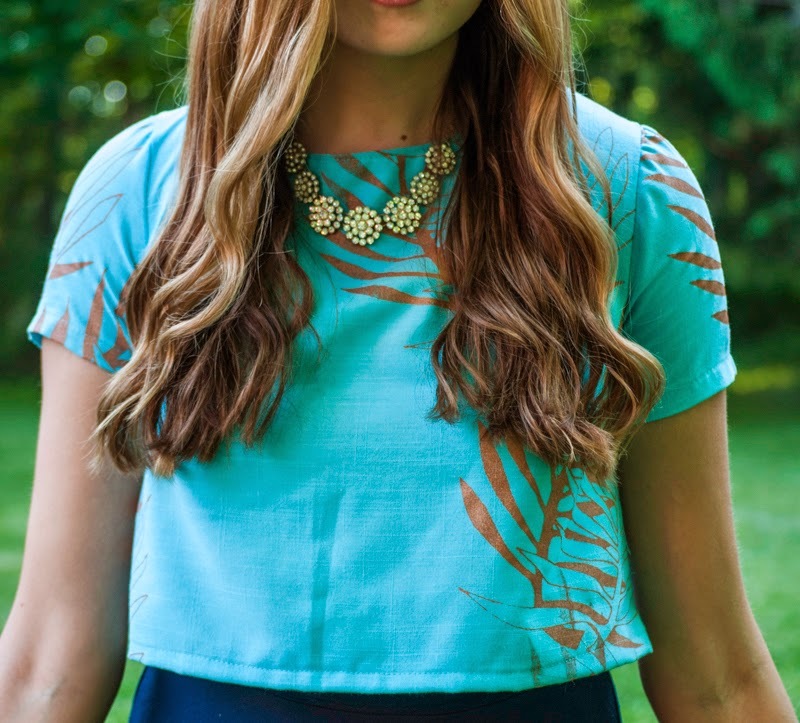 I love the blue on blue combo and love the addition of the necklace! Another fab outfit, Rory!! Snoozer Loser and you have made such a great team! And ahhhh, I know, us and our baby blogs...sigh. It's crazy thinking back and how far we've both come since then. This is such a cute and adorable outfit. Love the look on you. Amazing necklace. Nice blog here. Would you like to follow each other on GFC? Please let me know on my blog so I can follow back. Thank you. This is so lovely, i adore this look. Cute top and skirt! perfect match. Very cute! I love those sandals! 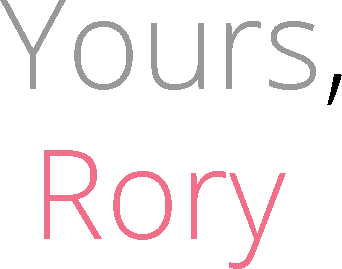 wow i love your layout Rory! seems i've been gone a while if i only noticed the changes now. you still dress up pretty as usual! i love your crop top! so cute!